mashy1983 – Page 2 – mashDebate! So for my first blog, I thought I would bore you all and delve into my roots. I will be providing a one-stop history lesson of the specimen that is the Bangladeshi in Britain. My peoples set their roots here a lot earlier than you might imagine. 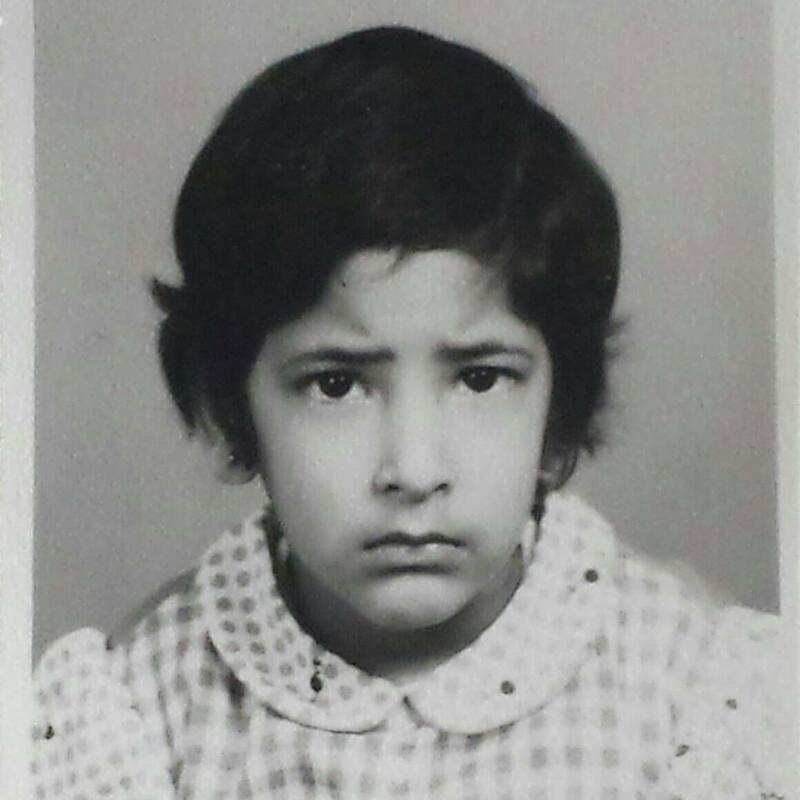 Find out how I ended up here, some of the hardships that Bangladeshis have faced since coming to the UK and my own opinion piece. Brrrrr its so cold and everyone is so pale! As has been well documented in history, the Indian subcontinent was an integral part of the British Empire and its authority over the world. British influence in the region took off in the late 17th Century and by this time, young Bengali children had already arrived in London as servants. Over time, the cultivating of tea boomed in the Sylhet region of what is now Bangladesh(where I am originally from). This came about as the British Empire lost its tea monopoly in China. The Sylhetis residing in the region became tea-pickers as this beverage as we all know is quintissentially British, became one of the Empire’s strongest currencies when trading with the rest of the world. Despite modern-day Bangladesh being one of the lowest lying countries in the world, the tea was grown in the hilly tracts os Sylhet in the Assam region. 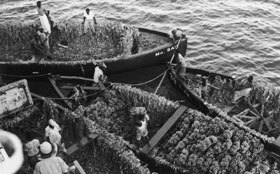 Once cultivated, the tonnes of plant still had to be transported down to the docks of Calcutta and Chittagong where in turn they would be shipped across the world in steam ships, especially to Britain. This of course required manpower and so it evolved that the Sylheti women would be tea-pickers and the men would help transport the tea downriver to the ports. 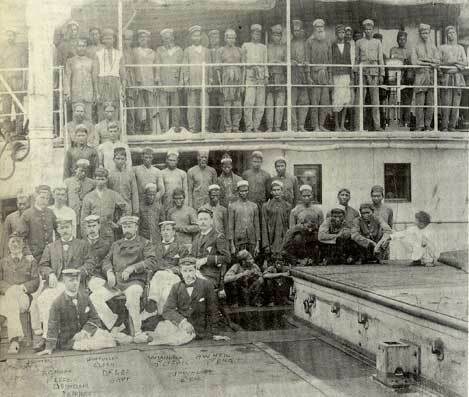 Eventually, they started manning the steam ships bound for London and became lascars which is the word for sailors from the Indian subcontinent. As well as being sailors, many became naval cooks, the predecessor for the many Bangladeshi cooks that are behing the ‘Indian’ cuisine industry that continues to boom in Britain today. 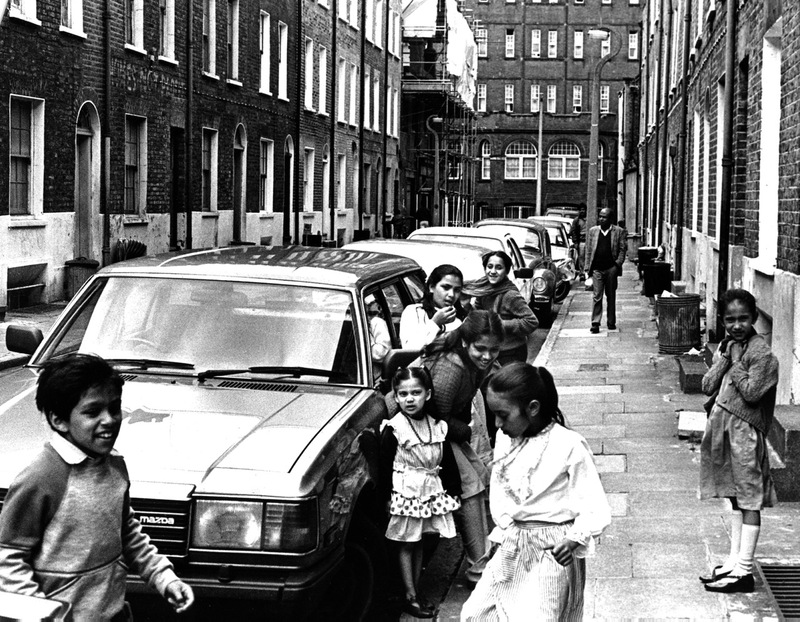 As a result, there was an established Bengali community in the East End of London as early as the 1950’s. Very few women came along and so the men took on White British wives. 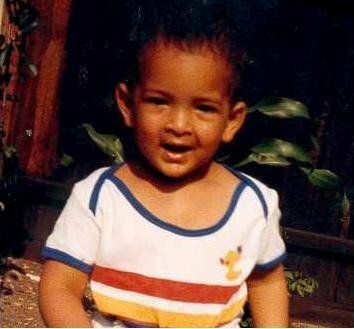 As a result, a generation of Bengali-British children were born (might use this as precedent when I next bring a white girl home to my parents LOL). 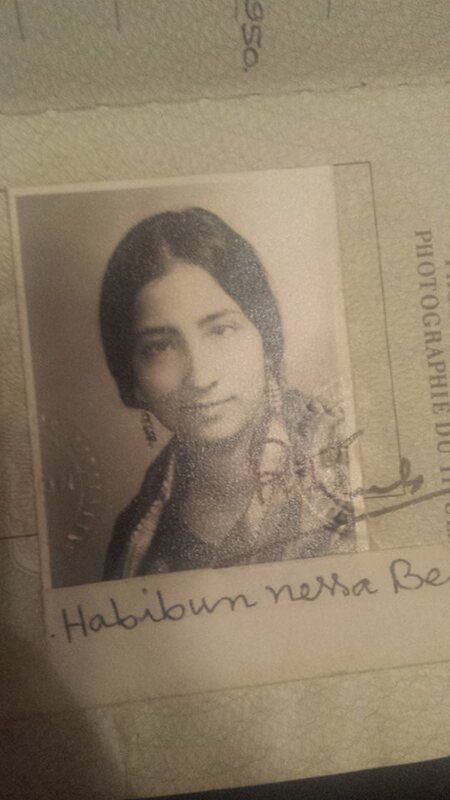 As well as lascars, many Bengalis came over as nurses, students and even political radicals. However, most remained very poor, working-class and most of the time, destitute. 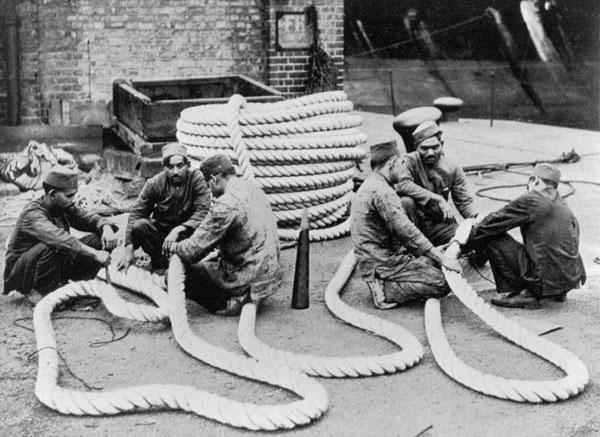 Many joined the British Merchant Navy and were an integral part in both World Wars. It was after the Second World War that due to a combination of reasons, things began to get spicey. The ecomonic cost of WW2 had left Britain’s coffers in dire straits in more ways than one. As well as being broke, the country experienced staggering labour shortages. The Indian subcontinent itself was literally sliced up along religious lines. These became India, West Pakistan (today Pakistan) and East Pakistan (today Bangladesh). The Sylhet\Assam region, so important during the boom of the tea-growth was one of the most affected areas following the partition. There was a Muslim majority in the area but the new Indian government, a country predominantly Hindu, feared that the whole north-east of British India, would become a Muslim state. Thus the Sylhet region itself was carved into Sylhet and Assam, the latter becoming absorbed in to India. This left a lot of workers living around this border fearful and insecure for their futures. The region itself was specifically targeted by British officials to address the labour shortages and further still in the 1950s and 1960s as the country underwent a labour boom. Bangladeshis arrived in their thousands and this time bringing their partners in order to forge a better standard of living for themselves and their future offspring. Although most flocked to the East End of London, many also went to larger cities such as Birmingham, Luton and Oldham, all of whom today have large Bengali communities. Like their naval cook predecssors, many opened curry houses which were marketed as ‘Indian’ despite over 90% being owned by Bangladeshis. 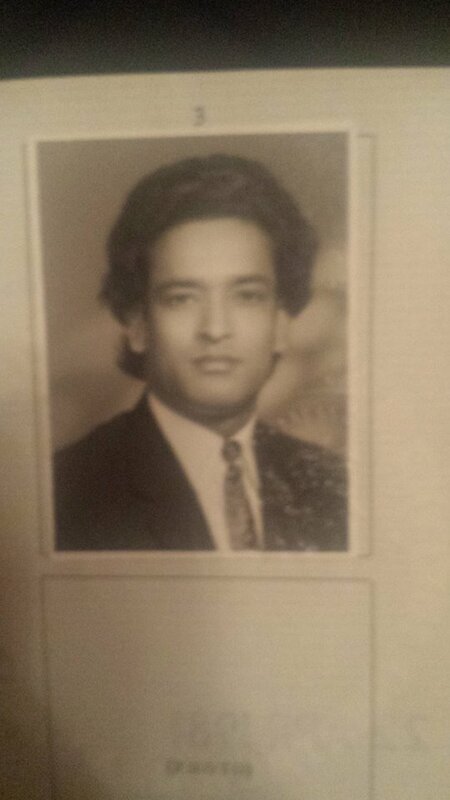 My father came on a special visa that allowed Bangladeshis to reside in the UK working in the Indian restaurant industry that was going from strength to strength. Over the next decade or so, thousands more Bangladeshis came over to the UK. Like my father, the male would usually come first, with their wives\children joining them a few years later. Indeed my father came over in 1964, whilst my mother came four years later in 1968. My father started working in a restuarant and my mother, like many other Bangladeshi women, went into factory work. 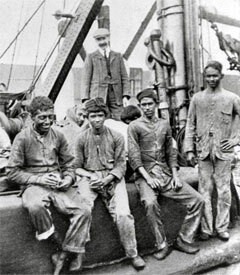 The relaxation of Immigration laws further eased the process for many to come here to increase their economic prosperity. Further turbulent events lead to more numbers arriving in the UK and ensured that existing Bangladeshi settlers in the UK played their part in the process that lead to the liberation of Bangladesh. 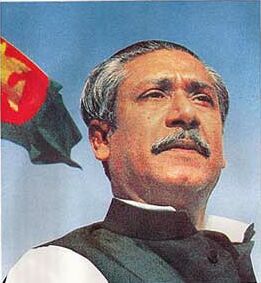 Mujibur Rahman, the father of Bangladesh. 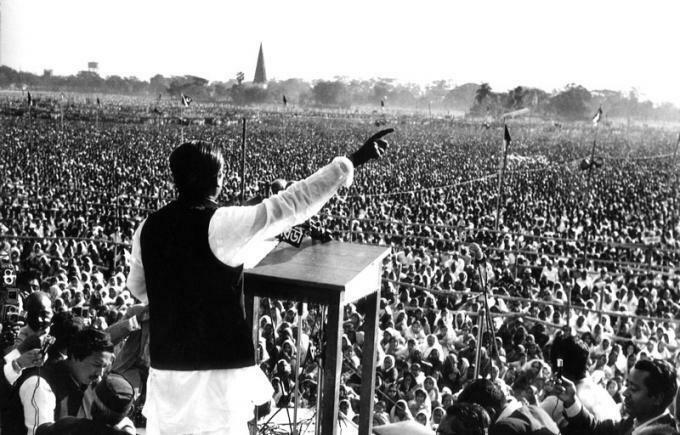 Mujibur Rahman declaring Bangladesh as a new independant nation. 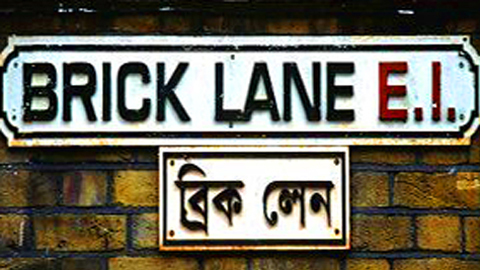 Anyone familar with London, will have heard of Brick Lane. Today, it is better known as the thriving curry mile of London in the area unofficially but affectionately known as ‘Banglatown’. It is here where the majority of Bangladeshi settlers in the ’60s onwards, put down their roots. The area itself had undergone many waves of immigration. From Irish and French escaping persecution in the 1800’s, to the Jewish in the late 19th Century. By 1970, Jewish bakeries had been turned into curry houses, jewellery shops into sari stores, synagogues into dress factories; in 1976 the synagogue on the corner of Fournier Street and Brick Lane (formerly a Huguenot church, then a Methodist chapel) became the Jamme Masjid Mosque. However, the Bangladeshi population in these parts also became an easy target for Nationalist groups such as the National Front and British National Party, movements were in their element back then. Racial tensions had been simmering for decades from the time the Jews populated the area. White skinhead gangs spat at Bangladeshi children, daubed graffiti everywhere and generally partook in provocative racist behaviour. The council instilled fireproof letterboxes in households, allowed Bangladeshi children to leave school earlier and encouraged women to travel around in groups. Physical attacks on Bangladeshis became the norm. People were being attacked in their own homes. The hardships the community went through were horrific. A lot of attacks, I myself did not know about until researching them for this post. Although they tried to defend themselves the best they could, one event finally tipped them over the edge and they began to fight back in numbers. 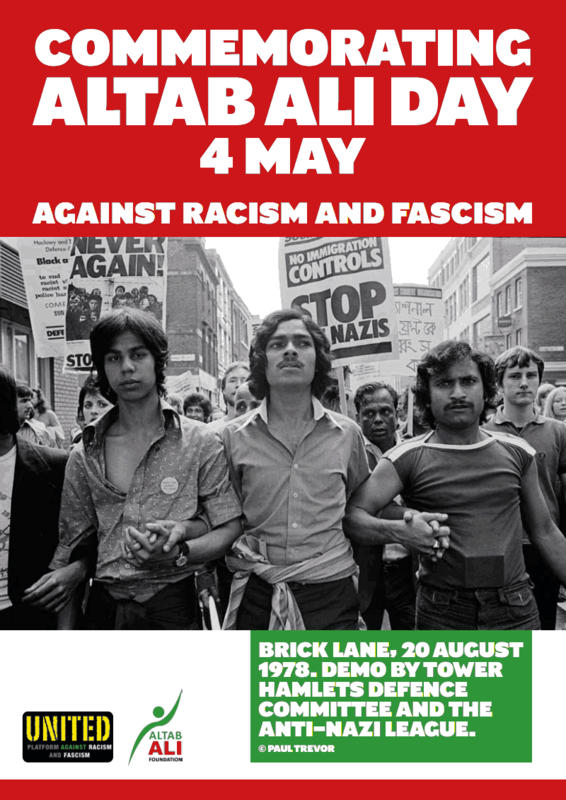 Altab Ali, a Bangladeshi factory worker in his mid 20s, [from Sylhet] in the East End of London, was murdered on 4 May 1978 in a racist attack against him as he walked home after work. The very future of the Bangladeshi community in the UK was at stake when widespread fear gripped people following Altab Ali’s murder. Within a few weeks, another Bangladeshi in the East End of London was also murdered. The name Altab Ali became synonymous with political struggles against racism. Thousands of Bangladeshis marched behind his coffin to Downing Street. This mobilisation woke up the authorities and institutional changes took place to ensure such racism could not take hold again. The community image and Bengali personification of the area that still attracts many people from all walks of life, is testimony to the spirited fight the community put up. Brick Lane and its surrounding areas are warm, colourful and vibrant where the local community and visitors live, work and enjoy themselves in a mostly warm illustration of social cohesion. Whatever I may say in this blog, let it be known that I am hugely proud of my roots. Whilst I will always identify myself as British first, the Bangladeshi part comes tumbling out of my mouth a millisecond later. I cannot identify with the Bangladeshis’ in predominantly Bangladeshi areas and if truth be told, I am snobbish when it comes to this and find myself looking down on such areas. For this I am ashamed as we all originate from the same part of Bangladesh and our parents all came here to give us a better standard of living. Maybe this is why I am such a confused individual, a lack or confusion of identity. Both my parents worked hard and moved into a good, predominantly white area so that my sister and I could enjoy a strong education and give us the best chance of climbing up the socio-economic ladder. This was at the expense of their own development. My father is a very clever individual and he could have really been something if he never came to the UK. The good news is that there are more Bangladeshi success stories now than at any other time before. Prominent Members of Parliament are Bangladeshi. Rushanara Ali was the first person of Bangladeshi origin to be elected to the House of Commons and one of first three Muslim women to be elected as an Member of Parliament. Tommy Miah is a well celebrated celebrity chef. Konnie Huq went on to become one of children television’s Blue Peter’s longest presenters. There are plenty of other household Bangladeshi names in all walks of life including the worlds of Business, Media, Sport etc. This is excellent for the community as a whole who for too long have lagged behind their ethnic counterparts. The trend does seem to be though, that to be an aspiring British Bangladeshi, you need to aspire to live away from the British Bangladeshi. I find attitudes in predominantly Bangladeshi areas to be low in ambition, religiously hypocritical and socially inept outside their own communities. I may not be practising my religion, I may struggle to find my identity but what you see is what you get with me. I do not pray five times a day and read the Qu’ran while I am in the house, then drink myself silly and shoot heroin outside the house. My sister does not wear a hijab and then caked up with make up, gallavant with males flaunting it about. Unfortunately, both instances are prevalent within the densest Bangladeshi communities. Until all of this changes which I do not see any time soon, many young Bangladeshis will find themsleves stuck amongst the bottom rungs of the ladder. I for one am thankful that my parents had higher ambitions for me.